Morning Joe plays defense for Trump on transgender military ban, arguing perhaps he "didn't really want to do it"
Don't believe the trend pieces. Just look at what's happening in California. Politico's story, which ran on August 19, was titled "More GOP lawmakers bucking their party on climate change." It claimed that "an unlikely surge of Republican lawmakers has begun taking steps to distance themselves from the GOP’s hard line on climate change," and that the "willingness of some Republicans to buck their party on climate change could help burnish their moderate credentials ahead of the 2018 elections." The article offers two main examples to support its argument: First, the bipartisan House Climate Solutions Caucus "has more than tripled in size since January" and now includes 26 of the House's 240 Republicans. Second, 46 House Republicans voted in July against lifting a requirement that the Defense Department study climate change's impacts on the military. But these House members are hardly going out on a limb. The climate caucus does not promote any specific legislation or policies. 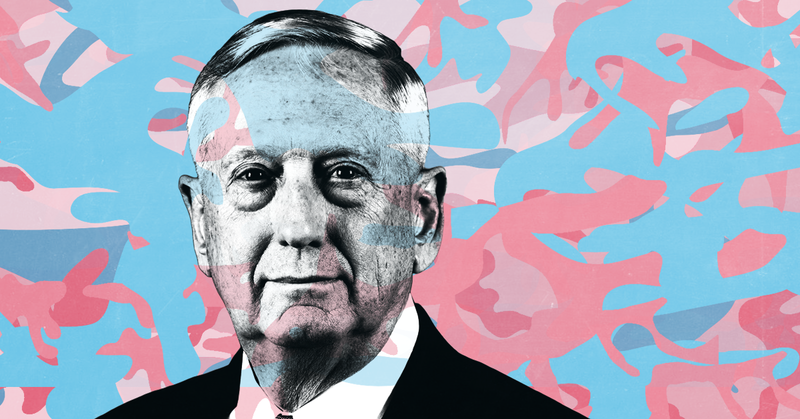 And military leaders, including Defense Secretary James Mattis, have long been concerned about climate change and have voiced no objections to studying it. Indeed, the Politico article notes, "If the Republican Party is undergoing a shift on climate, it is at its earliest, most incremental stage." California Gov. Jerry Brown, a Democrat, signed a bill on July 25 to extend the state's cap-and-trade system until 2030. He had negotiated with a handful of Republican legislators and with business lobbies, among others, to craft a relatively corporate-friendly bill, not as strong as many environmental justice advocates and other progressives wanted. In the end, three Democrats in the Assembly voted against it, so it was passed only because seven of their Republican colleagues voted for it. One Republican in the state Senate also voted in favor of the bill. And the blowback has gone national: Powerful D.C.-based anti-tax zealot Grover Norquist declared open season on Mayes and the seven other Republicans who voted “yes,” co-authoring an op-ed in the Los Angeles Times last week that accused Mayes of "treachery" and argued that the California legislature is a "big fat target for taxpayers who wish to go after Republicans behaving badly." So even in California -- the most environmentally progressive state, where 72 percent of adults support an ambitious climate law that was passed last year -- Republicans are getting slammed for voting in favor of climate legislation. Never mind that they actually helped companies avoid tougher regulations. Never mind that the oil and gas industry participated in drafting the bill and ultimately supported it, as did the agriculture lobby, the California Chamber of Commerce, and other major business groups. Never mind that the law could help Republicans kill the state's high-speed rail project, which they have long opposed. Never mind that the Republican Party desperately needs to change if it wants to regain a foothold in California; only 25.9 percent of the state’s voters are registered as GOP and 7 percent of those voters have told pollsters they’re considering leaving the party over its stance on climate change. Mayes and his compatriots went against GOP orthodoxy, and that’s what their fellow party members care about. If this kind of backlash happens in the Golden State, just imagine what would happen in D.C. if the House Climate Solutions Caucus did anything more than gently gesture at the possibility of climate action. Conservative groups in D.C. aren't even satisfied with an administration that's been aggressively rolling back environmental protections; they are pushing the EPA to debate and undermine basic climate science. National media should be reporting on the drama unfolding in California when they write about Republicans and climate change. It's been covered by newspapers in the state but missed by virtually all outlets beyond California's borders. Vice published a piece on August 17 titled "The Republicans Trying to Fight Climate Denial in Their Own Party," which focused on the Climate Leadership Council, a group of former Republican officials who are pushing a carbon tax. The key word there is former; no current Republican members of Congress or prominent officeholders have publicly endorsed such a policy. The story made no mention of the ongoing fight in California. Going back a few months, Time ran an article in May headlined "Meet the Republicans Taking On Climate Change," which mentioned both the Climate Solutions Caucus and the Climate Leadership Council. The Guardian ran one in April under the headline "The Republicans who care about climate change: 'They are done with the denial.'" It claimed that "there are fresh shoots of hope that, as a party, Republicans’ climate intransigence is shifting," and it, too, cited the climate caucus. Journalists have been writing these sorts of stories for years. 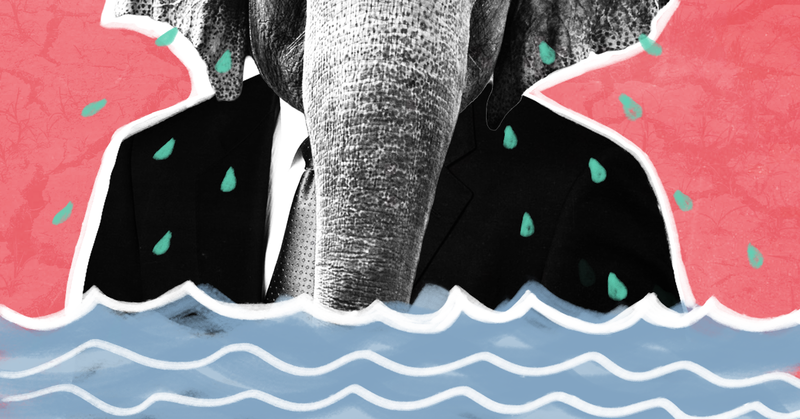 I wrote one myself in 2015 for Grist: "Getting warmer: More Republicans are starting to take climate change seriously." It was no more prescient than the others. It began by noting that then-Sen. Kelly Ayotte (R-NH) had come out in support of President Obama's Clean Power Plan. But the next year, the Koch-backed group Americans for Prosperity announced that it didn't like Ayotte's embrace of "Obama’s far-left environmental agenda," so it pulled its support from her re-election campaign, and she went on to lose to her Democratic challenger. Go all the way back to 2010 for a classic of the genre, a Thomas Friedman opinion column in The New York Times titled "How the G.O.P. Goes Green," which praised Sen. Lindsey Graham (R-SC) for "courageously" trying to craft a bipartisan climate bill. Less than four months later, Graham bailed from the whole enterprise and helped to ensure that no climate legislation would pass during the Obama presidency. It's nice that a handful of congressional Republicans are taking baby steps toward acknowledging that climate change is a big problem that demands big solutions. But their moves are far from courageous, and the media adulation they get is all out of proportion to their clout. Norquist is more influential on this issue than all of the climate-concerned congressional Republicans combined, a fact most journalists are not acknowledging, and Norquist reiterated his die-hard opposition to a carbon tax just last week. Many of the articles about Republicans turning over a new leaf on climate cite Bob Inglis or the group he runs, RepublicEN, which promotes conservative climate solutions. Inglis was a U.S. representative from South Carolina until he got primaried out in 2010, in part because he called for a carbon tax. Norquist's organization, Americans for Tax Reform, gave a boost to Inglis' primary challenger. In the years since, Inglis has been working doggedly to get other Republicans to take climate change seriously, but if they followed his advice at this point, they'd likely get booted out in a primary too. Just like there's no Donald Trump pivot, there's no Republican climate pivot. We'll know we're seeing real change when more than a handful of GOP lawmakers take a risky vote for actual policy to reduce carbon emissions. Until then, journalists should avoid writing trend stories about this nonexistent trend.